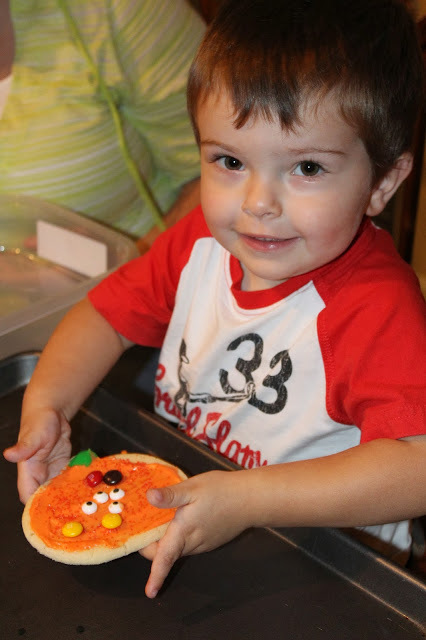 Halloween is one of my favorite holidays – I love decorating and doing activities with friends! Every Family has their holiday traditions, and I especially love mine. Homemade Easter Bread, Feast of the Seven Fishes for Christmas, and cookies on almost every holiday. We always made my Grandmother’s recipe. Mom would make them a few days ahead and freeze them so we would be all set to decorate. As little girls, KB and I had to have a plethora of frosting colors and sprinkles to adorn our cookies. 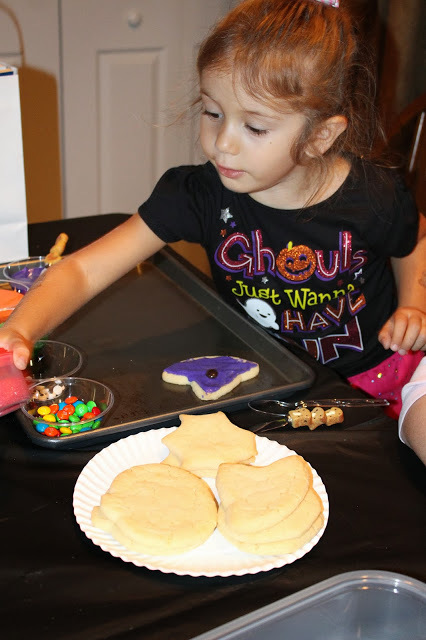 This year for Halloween, I asked my girlfriends, Thelma and Lolo to bring their kids over so we could do cookies. I love keeping the holiday cookie tradition alive – especially since my Grandmother is no longer with us and my Mom lives a few hundred miles away. It is definitely one tradition I will be doing with Baby L&C when she is old enough… almost 6 weeks until due date by the way! Thelma’s daughter, Little E, is almost 5 and Lolo’s son is almost 3. 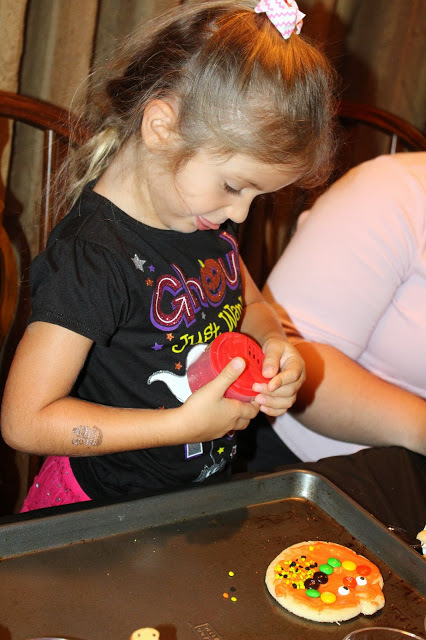 We had such a good time making cookies, even though our attention span was very short. They loved all the frosting colors and the special sprinkles I bought for the occasion. I haven’t seen that many eyeballs on one cookie in a while! After cookie decorating, we made Frankenstein Pudding Cups. I saw the idea on Pinterest a while back and thought it would be fun for them to make – and eat. It was really simple and took only a few minutes to do. 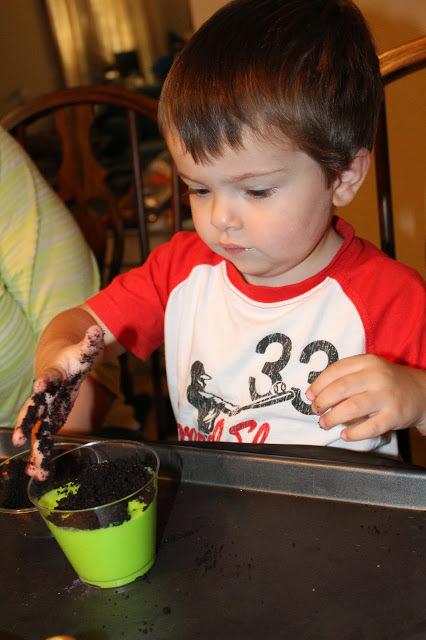 The kids loved getting their fingers in the Oreo crumbs. – In a large mixing bowl, mix the Instant Pudding, cold Milk and Food Coloring for 2 minutes. Isn't cooking decorating so much fun!!!! 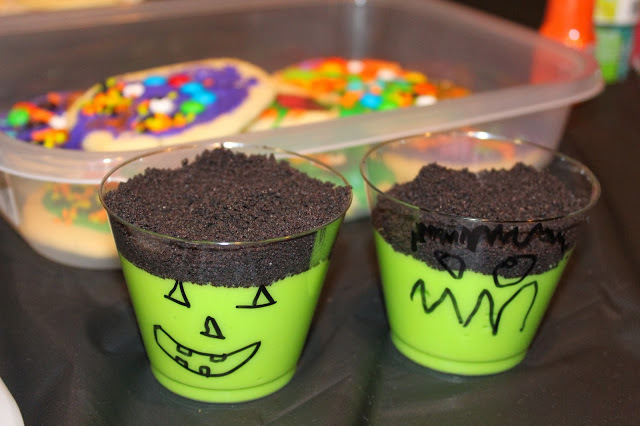 Love the Frankenstein Pudding Cups!! Yes! We always decorate cookies for the holidays. Love it!